Kevin De Bruyne has insisted his links with Chelsea would not stop him trying to pile on the misery for Andre Villas-Boas' men in Tuesday night's Champions League clash at the Cristal Arena. De Bruyne has another chance to convince the Blues to sign him in January after his latest audition fell flat in the Belgian champions' 5-0 Group E thrashing at Stamford Bridge two weeks ago. Chelsea have long been linked with the 20-year-old, after scouting him on several occasions, and he could hardly be going into Tuesday's game with more confidence having scored his first professional hat-trick in Genk's amazing comeback against Club Bruges on Saturday. Mario Been's men were 4-2 down but ran out 5-4 victors, with De Bruyne netting both the equaliser and the winner. De Bruyne today vowed to give everything to inflict what would be an even greater humiliation on Tuesday's opponents. 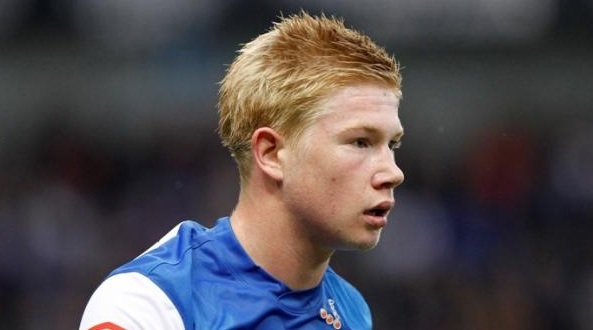 "I will think about only doing my best for Genk," said De Bruyne. "My 'relationship' with Chelsea is not important. Nothing is signed yet, we will see." He added of his own form: "We gained a lot of confidence in the Bruges game and I scored three times. But we won as a team and we have to take on Chelsea as a team. What have we got to lose? Playing against this type of world-class team is a player's dream." Genk's win at Bruges was their second in three matches following four straight defeats, including the thrashing at Stamford Bridge.